The Railway ministry said debit and credit cards of all Indian banks powered with VISA and Mastercard are accepted. IRCTC has seven gateways to accept digital payments. Clarifying on media reports which said that the Railways is not accepting a number of financial institutions from using its payment gateway for debit cards, The Railway ministry said that it has not imposed any restrictions and debit and credit cards of all Indian banks powered with VISA and Mastercard are accepted. 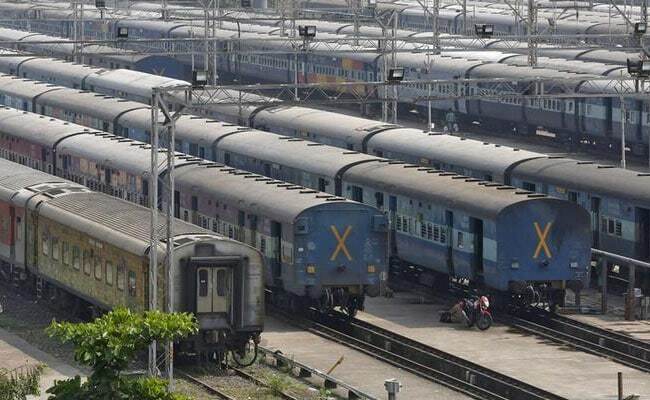 IRCTC or Indian Railway Catering and Tourism Corporation said that it has provided seven payment gateways for accepting domestic debit and credit cards and has also provided direct integration to some banks as value added service to for the convenience of its passengers. In a circular issued yesterday, the Railways also added that direct integration with banks has additional costs. IRCTC had earlier asked banks to share a part of the transaction charge with the Railways but later on forfeited its share of the transaction charge and asked banks to pass on the benefits to the customer. IRCTC has seven gateways to accept digital payments. These are ICICI Bank, HDFC Bank, Citi Bank, Axis Bank, Paytm, PayU and ITZ Cash. Payment gateway of American Express Bank is integrated for Amex Card and of Kotak Bank for accepting Rupay Cards. IRCTC also accepts international Debit/Credit cards through the payment gateway of M/s Atom, IRCTC said. Currently, banks are allowed to charge 0.25 per cent on transactions of up to Rs 1,000 and of 0.5 per cent on transactions of values between Rs 1,000 and Rs 2,000, according to Resrve Bank of India guidelines. Highlighting that roughly 66 per cent of all transactions were under Rs 1,000, IRCTC asked the banks to strictly follow the RBI guidelines.